Al’s music will make you smile, cry or both. Whether she’s strumming her uke or a capella, stark and bluesy, Al’s performances are staggering. You’ll know what I mean if you’ve ever seen her perform ‘Story Song’. It’s the sensual blues and Johnny Cash simplicity which form the footings for Al’s honest storing telling. Mixed with her stage banter and quality dance moves you get one infectious musician. 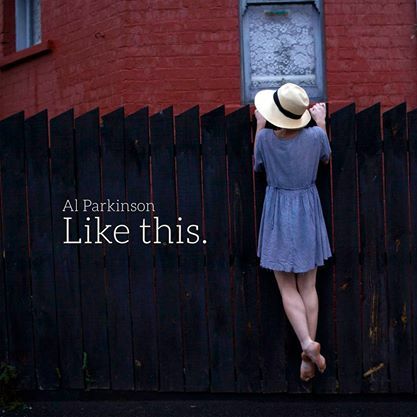 The ‘Like This’ video, directed by Edwin Tejoz, is a mirror for Al and her music. Al combines the loam and the ethereal of our lives to reveal the genuine connections to the people we care about most. The lyrics describe unexpected but pleasing interactions and Al’s voice and the strings evoke the elation and alteration of existence. What else can you do but play in the street? 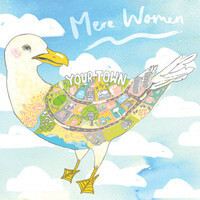 Mere Women is one of those bands whose music seems intrinsic. On their first album ‘Old Life’, the band manifests a definitive sound. I’m not sure how this came about but it was a genre breaking delight. This record was something I wanted to listen to alone. I didn’t want someone to get in the way of my indulgence. ‘Our Street” is from their second album ‘Your Town’, which is due for release July 25th through Poison City Records. Shot by Jaclyn Paterson and directed by Matthew Taylor, Our Street is a video relationship map. Scenes of what looks like a small country town near the ocean, tall fences, private moments, nature’s growth and strength. The poignant women skipping and time passing. Like a Lynch movie you never quite figure it out. Likewise, the lyrics switch between first and second person. Flyn’s fuzzy delayed guitar creates a sense of anxiety and the vocals heighten this with Amy’s yearning voice and painful inner dialogue. Contrastingly, Kat’s drums are hypnotic and reassuring. This entry was posted in Music and tagged Al Parkinson, australian music, Like This, lip, lip music, lipmag, Mere Women, music, Our Street, reviews, singles, video. Bookmark the permalink.